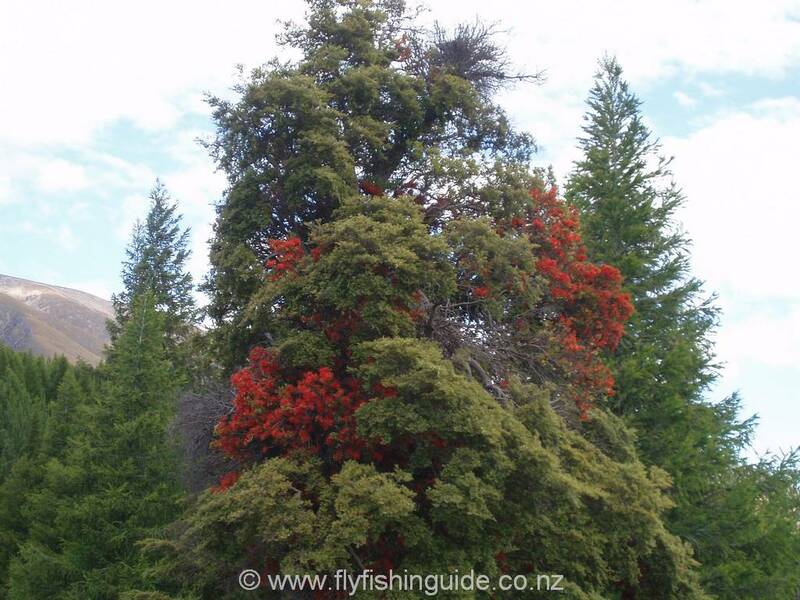 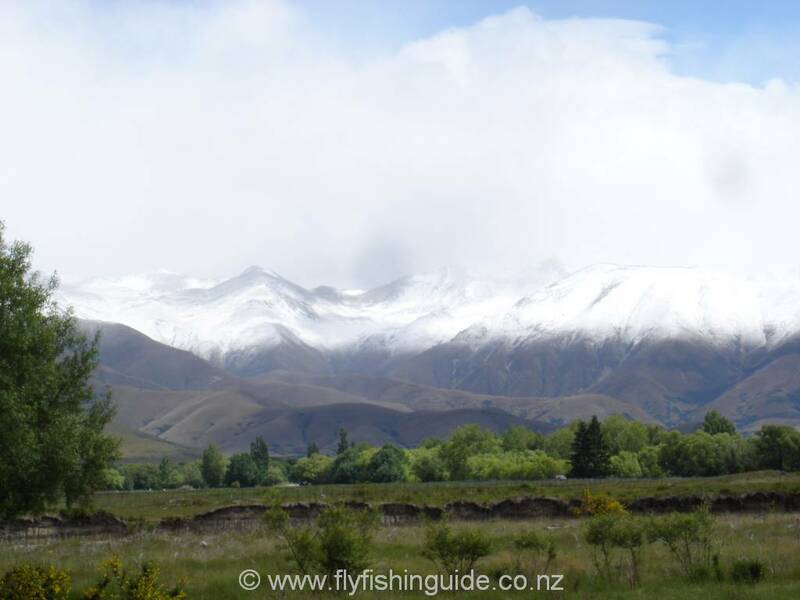 "In an ideal world we, fly anglers, would only venture out on calm sunny days but in the Central South Island that would be almost the same as giving up altogether! Yes the westerly winds cranked into gear soon after the fishing season started and look as though they are going to keep on keeping on! 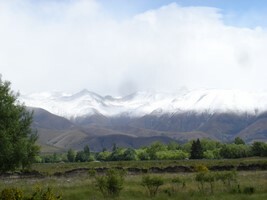 In fact the wind doesn't bother me near as much as the lack of sunshine. 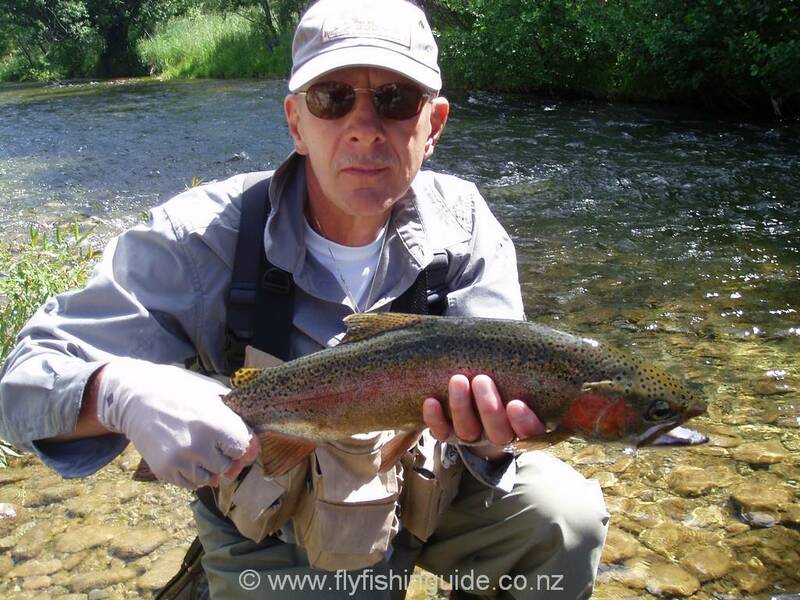 There is no doubt that the catch rate increases dramatically with good spotting conditions and in many situations being able to see is essential for success. It's only when "working" on a selective trout in slower calmer water, that the futility of hooking one using the hit-and-miss approach of blind fishing becomes apparent. It's not that there isn't any chance at all but unless you cover the fish with the right fly on the first cast all this without seeing anything .... Luckily in faster broken water, the parameters change and chances of success improve exponentially. 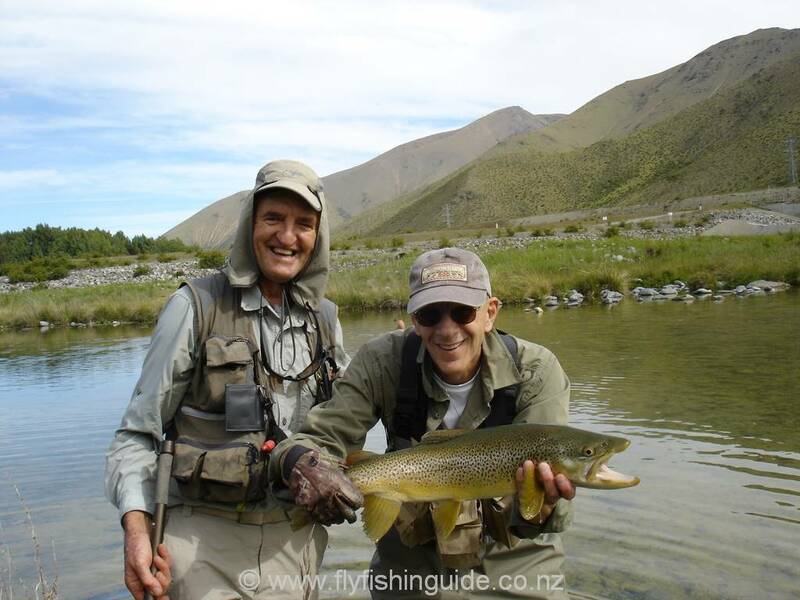 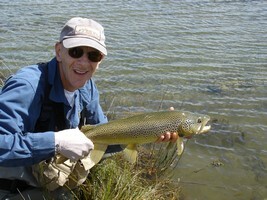 Pat and Paul from the US decided to try the waters around Twizel for their month long fishing pilgrimage to NZ. 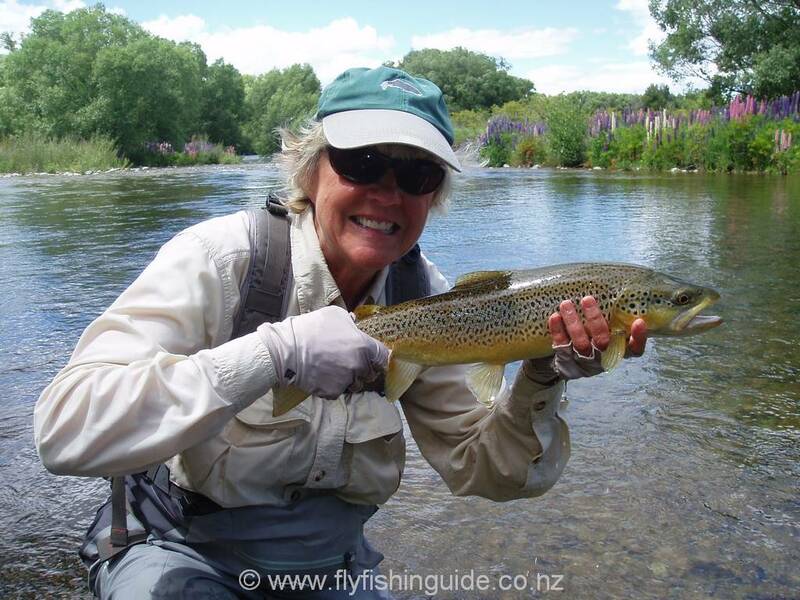 This is the first time they have been to the Twizel area after fishing near Makarora, Nelson and Taupo in previous visits. It's by far the longest guiding stint I have ever done in one hit but I figured that if Pat and Paul were up to it so would I! 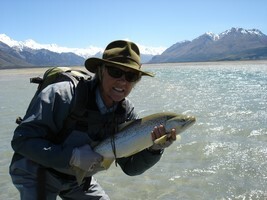 As it happened, we all survived remarkably well apart from a slightly sprained ankle for Paul and a broken rod tip near the end of their stay. More on our adventures next edition!" 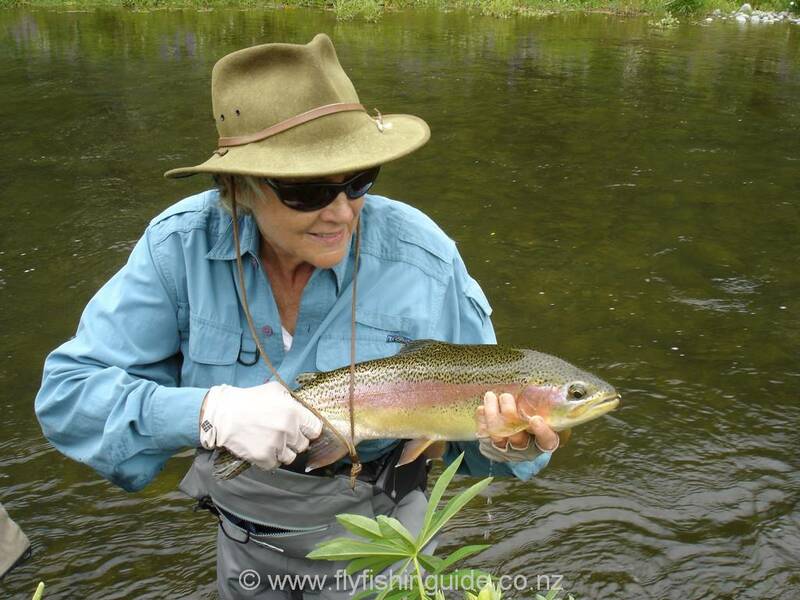 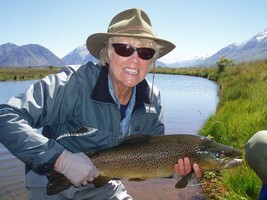 Rainbow time on the Twizel Ladies can catch large trout too! "Perhaps one of the most memorable moments Pat, Paul and I experienced during our month long stint together was the rescue of 11 rainbow trout (a couple around 5lbs) from an isolated side braid in the lower Ohau delta. 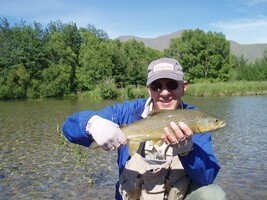 We literally stumbled upon these fish in a tiny pool completely isolated from the nearby lake. I can only imagine the fish arrived at spawning time when the lake was very high and for some strange reason ended up being stranded when the water level subsided - perhaps a very sudden drop. 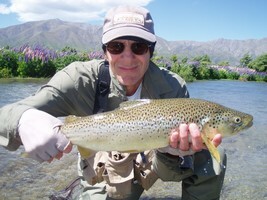 Trout usually have a highly sensitive mechanism to avoid strandings like this but they can't forsee human intervention! 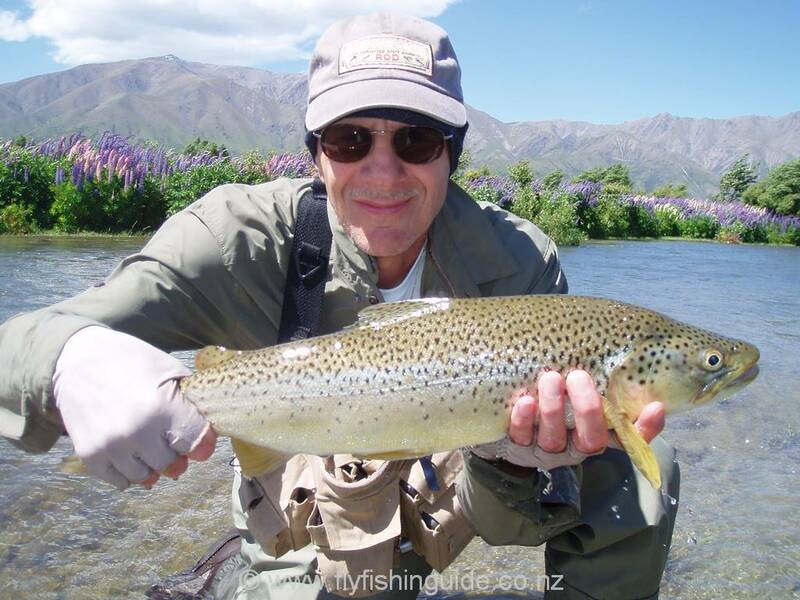 1998 was the previous occasion I undertook a salvage operation when some trout were stranded in a pool in the lower Tekapo River after a sudden man made drop in the flow. 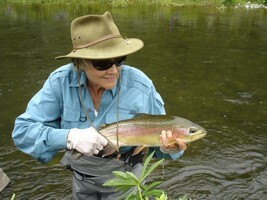 The rescue this time was a real team effort - Pat and Paul's mission was to stir up the sandy bottom in order to disorientate the trout long enough for me to net them, one by one. 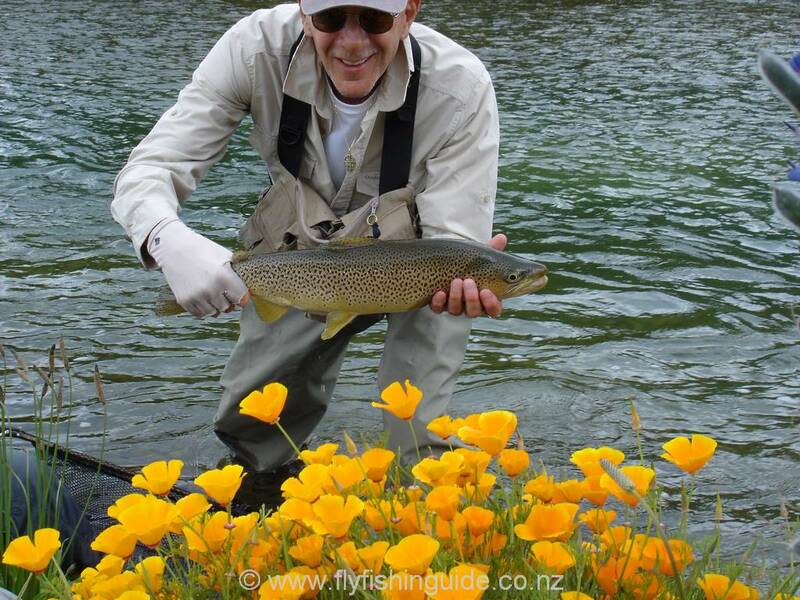 Once netted, a 20 meter sprint was required to get them in to a large pool nearby in as short a time as possible. 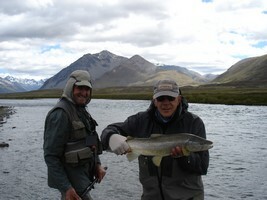 We were all too busy to take a video but it would have looked quite spectacular! The end result was 11 trout rescued, one landing net in less than great shape and 3 very tired anglers. 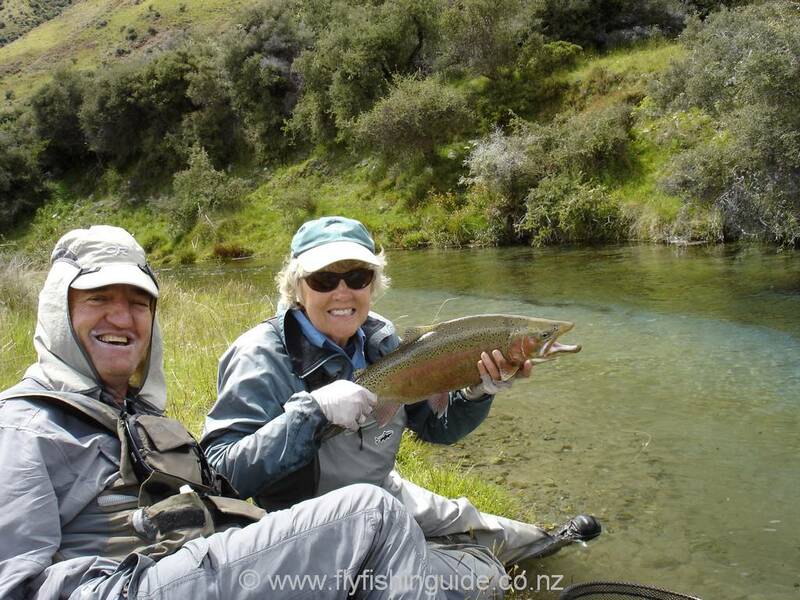 We spent the rest of the day on the nearby Tekapo River to recover from our emotions! Not all clients would have appreciated part of their day being chewed up not fishing but Paul (himself a guide) and Pat are true conservationists - extremely respectful of the environment and their "quarry". 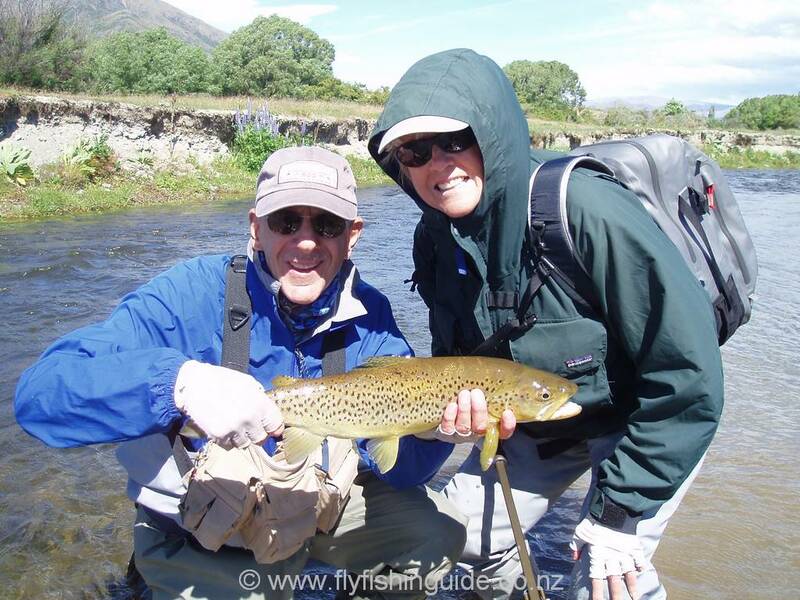 Hats off to them both and good luck on their next kiwi adventure!" 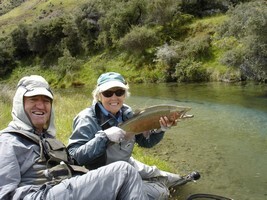 Happy client and guide with a chunky rainbow Happy days!